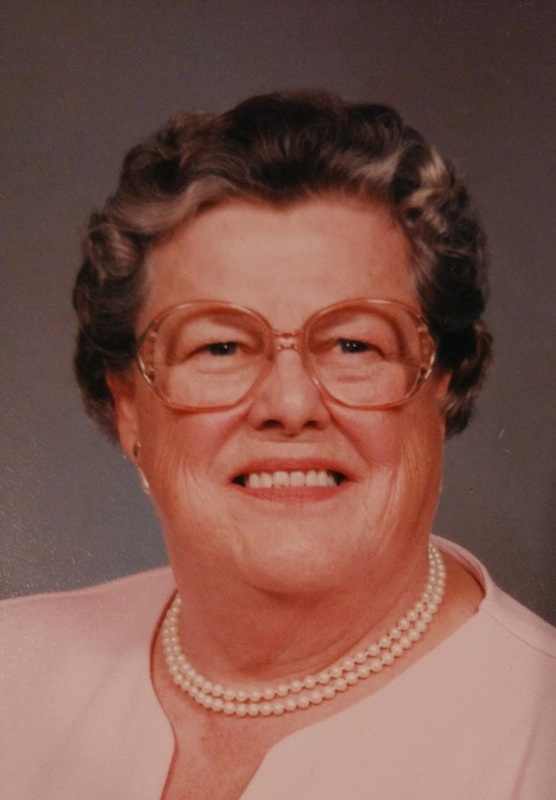 Vivian W. Pollock, 93, life long resident of Aiken, passed away, Wednesday, January 16, 2019, at Bradford Regional Medical Center. Born November 8, 1925 in Wolf Run, the daughter of the late Claude and Agnes (Johnson) Whiteman. Vivian graduated from Bradford High School in 1942. She married Harold E. Pollock on June 27, 1946, in Bradford, he preceded her in death on October 9, 1993. Vivian worked for the Bradford Area School District as a secretary for over 20 years, retiring in 1968. She enjoyed listening to music, reading books, crossword puzzles, jigsaw puzzles, and soduku. She was definitely well known for her counted cross-stitch. Vivian was a member of Asbury Methodist Church, Bradford Senior Center, and enjoyed playing cards once a month with her card club. She is survived by a son, Steve (Sharon) Pollock, of Toms River, NJ, one granddaughter, Jennifer (Matthew) Keelen, of Falls Church, VA, two granddaughters, Riley and Madison, and two sister in laws, Hazel Wolcott and Carol Pollock. She was preceded in death by her parents, husband, one grandson Mark Evan Pollock and one sister Doris. Arraignments are under the direction of Hollenbeck-Cahill Funeral Home Inc. Please accept my heartfelt condolences on the passing of Vivian. Steve, Sharon & Jennifer we are so sorry for your loss. Aunt Vivian was a very loving person. We have fond memories of her. Steve, So sorry to hear of Viv''s passing. She was a nice Lady and a good neighbor.